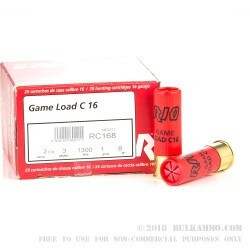 Your search for 16 gauge sporting shotshells ends here! 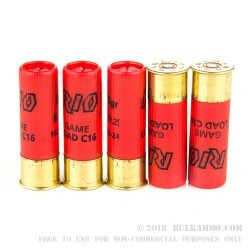 This inexpensive Rio Royal shotgun ammunition fires #8 birdshot and delivers good performance against both small game and paper targets. Grab a few of these 25-shell boxes for a great time blasting away at the range! 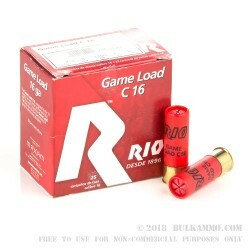 Rio Royal manufactures a variety of shotgun ammunition for hunters and target shooters. The company is headquartered in Spain but also operates a manufacturing facility in the US. 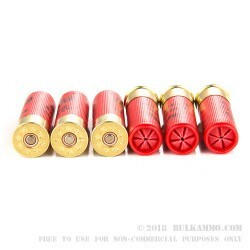 BulkAmmo.com is the place to be when you want to find reasonable quantities of ammo in stock and ready to ship!